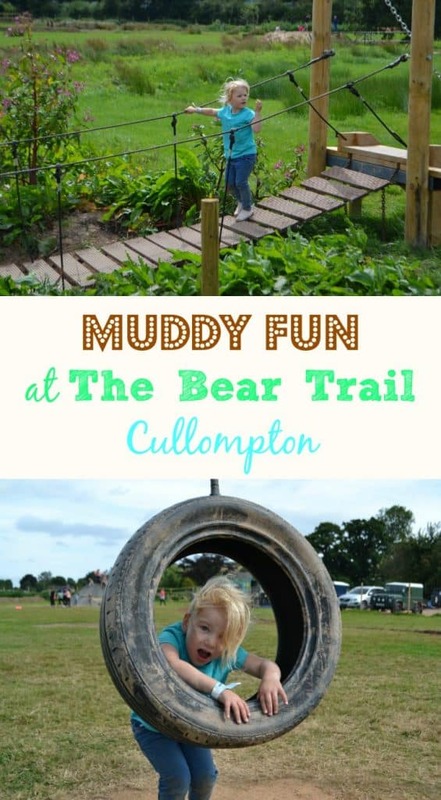 Last week we had the pleasure of being invited to try out a brand new Devon day out, The Bear Trail. 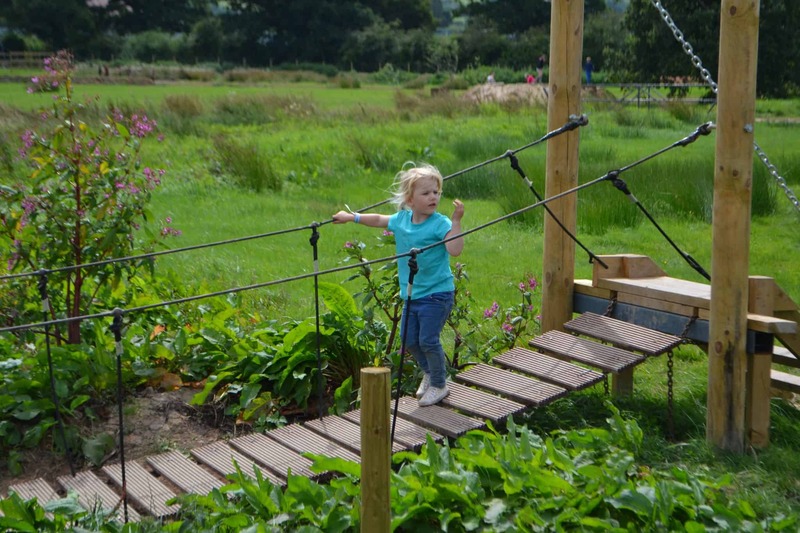 It’s a children’s assault course near Cullompton, north of Exeter, where kids can do what they love best – get dirty! 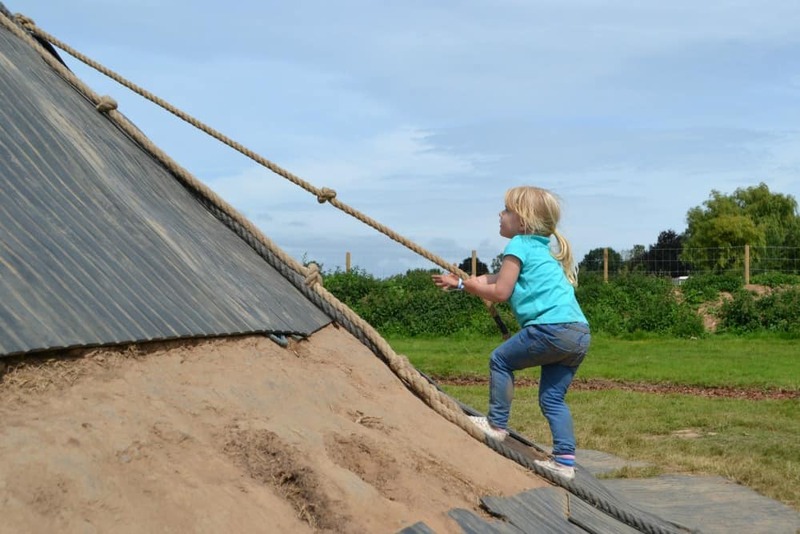 This outdoor family attraction is the brain-child of Ben – a former Army man – who was inspired by his military days to create a place where families can be active and bond in the fresh air. 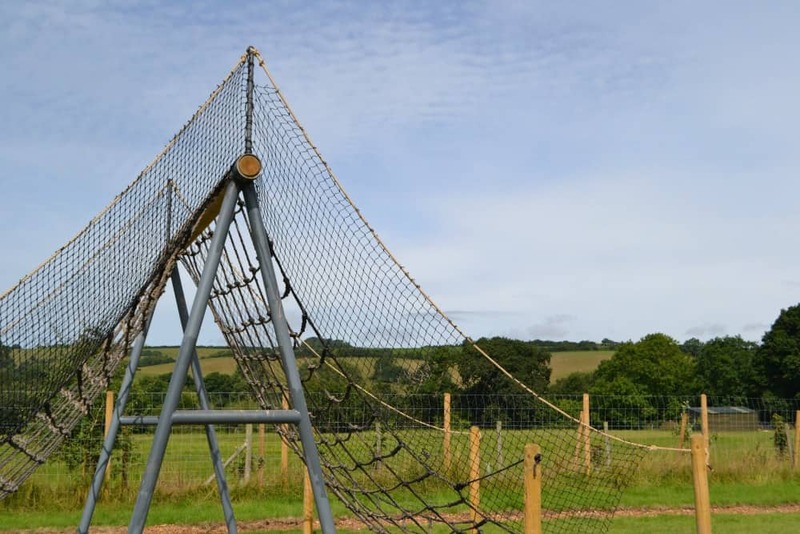 At the end of July 2016, The Bear Trail was opened featuring scramble nets, mud pits, rope swings, zip wires, tunnels and its very own ‘mountain’. It’s located in the Devon countryside, about 10 minutes from the M5. I have to admit that when we pulled into the car park at The Bear Trail it wasn’t quite what I’d imagined. Instead of a trail winding through woods – I blame ‘We’re going on a bear hunt’ for putting this picture in my mind – the course is laid out on a wide, open field. However, the benefit of this becomes apparent as soon as the kids dash off in all directions to tackle the course. After supervising their children once round the different apparatus, most parents congregated in the middle of the field with a cuppa and a great view of what their kids were getting up to. The majority of the trail is designed for children over the age of four, but there was plenty Tin Box Tot, at three-years-old, could do. In fact, she surprised me by climbing Bear Mountain all by herself. It was lovely to see her confidence grow as she tackled as much of the course as her short legs would allow. 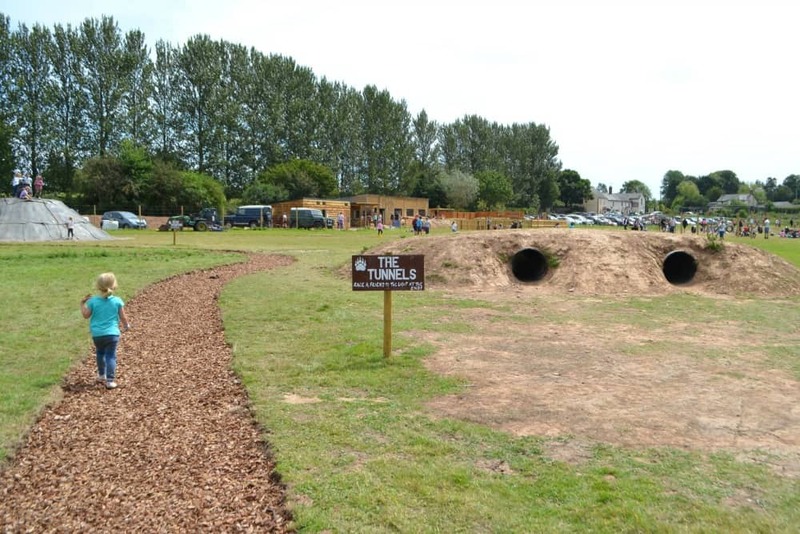 There is also a small play area for children under one meter with a sand pit, roundabout, seesaw and tyres to climb on. Tin Box Baby enjoyed getting out of her pushchair for this part (see my video below). 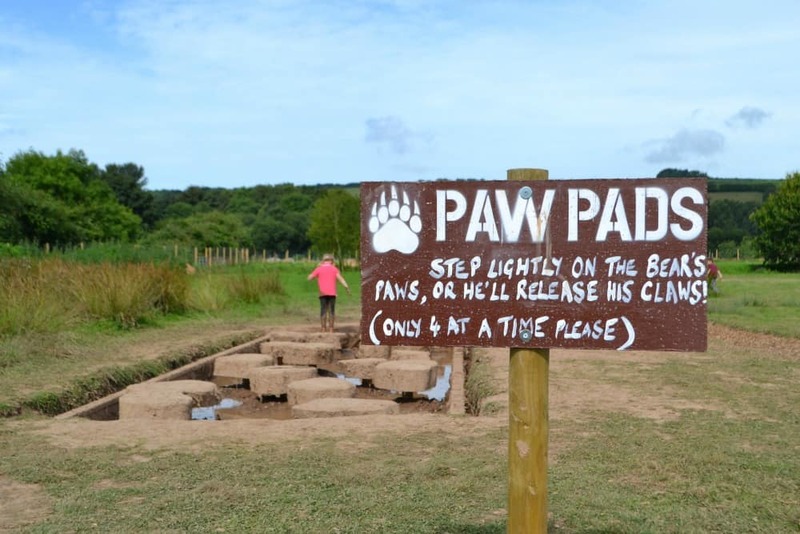 A mud kitchen is being added in the near future to fit in with the rest of the activity trail’s messy theme. While my girls are at the lower end of The Bear Trail’s intended audience, we could see families with older children having a great time. Some were covered head to toe in mud, with massive smiles on their faces. This is definitely somewhere that you need to bring a towel and a spare set of clothes because the temptation of the mud pits it just too much. The course was buggy-friendly when we visited in the middle of the August heatwave, but it might get stickier during the winter months. Baby wearing would be more suitable all year round. There are toilets and showers onsite, including baby changing in both the men’s and women’s loos. We were treated to lunch in the cafe barn were they serve freshly made pizzas, home made cakes and sandwiches, as well as hot and cold drinks. The’s also a small indoor activity area for young children to keep them occupied while you finish your lunch. If you prefer, you can take you’re own food to enjoy on the grass or at one of the picnic tables around the trail. Great news for families like us with four-legged members is that dogs are welcome too. They have to be kept on the lead and the usual rules of picking up after them apply. Dog bins are provided. 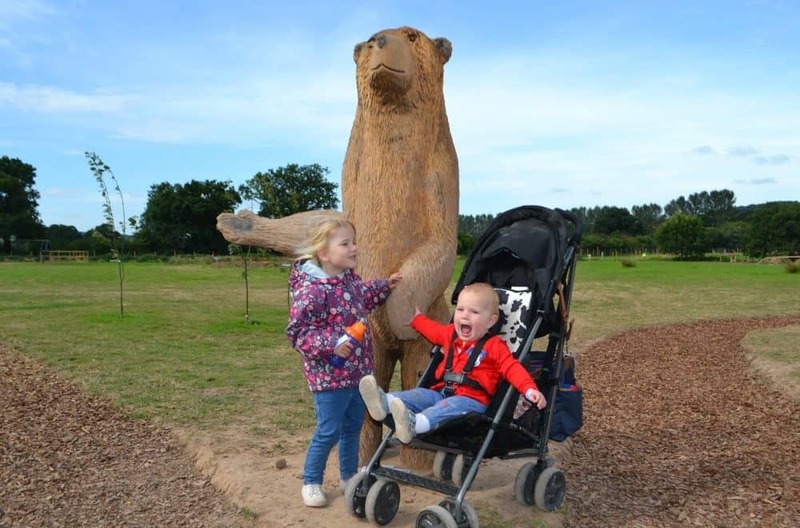 The Bear Trail is open between 10am and 5pm daily throughout the summer holidays and then Wednesdays to Sundays in term time. Tickets cost £6.50 if you are over one meter and £3.50 for children under one meter. You can book tickets in advance online. There’s a video of what we go up to at The Bear Trail on the Tin Box Traveller YouTube channel. Have a watch and please do subscribe. We’ll be sharing other adventures from the summer very soon. Disclosure: we were guests of Ben and the team at The Bear Trail. All opinions are my own and those of my family. This looks AMAZING! I have two kiddies who love mud, so this would be right up their street! Love love love! Wow that looks awesome, what a fab idea! I bet all the kids love it, I know a certain little boy would love to give it a go when he’s a bit bigger. Tin Box Tot looked like she had a great time. I will definitely have to pay a visit when we’re next in Devon. This looks huge fun – very good tips about the spare clothes, I can imagine how enormously muddy it would get.